The interaction between word co-occurrence networks of Dogma and another document is quantified. The structural changes after interaction through overlapping of identical words was measured. A comparison is provided from central and random interaction of artificial networks. The interaction of Dogma with non-encyclicals was generally observed to be farther from central interaction than the encyclical counterpart. Using these, the encyclicals were distinguished from non-encyclical documents. Furthermore, the effect of loss of structure or word order on the network interaction was evaluated. The structural changes for these interactions were found to differ from random interactions due to the effect of word frequency. E. J. Medina and J. Bantang. 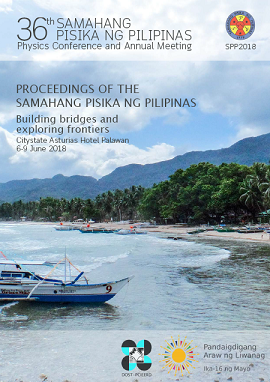 Interaction of word co-occurrence networks through identical words, Proceedings of the Samahang Pisika ng Pilipinas 36, SPP-2018-PB-09 (2018). URL: https://paperview.spp-online.org/proceedings/article/view/SPP-2018-PB-09.